Well, one thing’s for sure, it blows its foreign counterparts out of the sky in all respects. Soon after 2020, Russia’s skies will be ruled by an air defense system packing S-500 Prometheus hypersonic missiles developed by the VKO Almaz-Antey Concern. The missiles are being developed far away from prying eyes in a top secret location. Moscow is playing its cards cards close to its chest on this one and the army is planning to reach “new heights” with the projectiles. The S-500 anti-missile system will be able to take out enemy missiles and aircraft in near space at an altitude of 100 km. No air defense system today has such a huge range. A separate ultra-long-range guided missile, coined the 40N6, is also being developed for the new air defense system. Its new automatic homing head will enable it to flirt with Earth’s orbit while independently identifying targets in space before intercepting them. In the past all these functions were performed by radars that were part of the air defense system, but the new missile will essentially have a mind of its own. Radar systems will continue to guide each 40N6 but they will perform specific functions to improve accuracy - for example, the various radars will be responsible for tasks like seeking warplanes and helicopters; cruise missiles skirting the terrain; ballistic missiles nose-diving from lofty heights; and enemy targets in near space. The designers are experimenting with different warheads for the 40N6, but so far they kept schtum. The 40N6 unit itself will be able to fly to its target at hypersonic speed of up to Mach 9 (10,800 km/h). 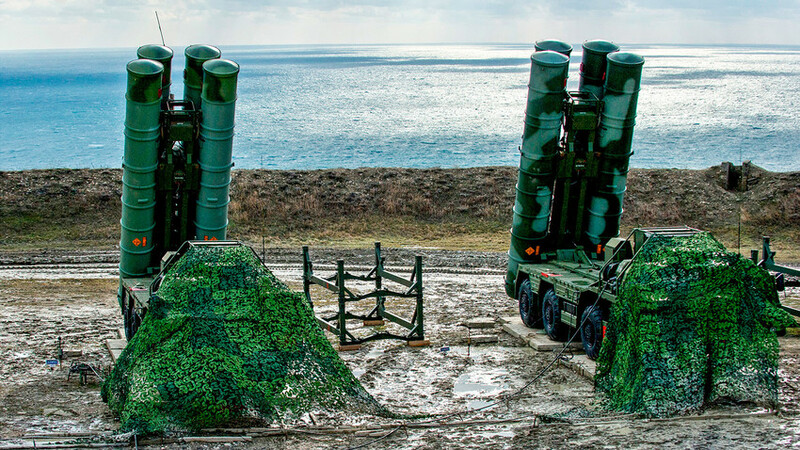 According to information from open sources, the S-500 system is already capable of engaging targets from 500 km away. In comparison, the actual "ceiling" of the previous version of the air defense system (the S-400 Triumf) is 600 km. It’s not yet known what final maximum range the S-500 will have. The main difference between the S-500 and all similar foreign systems is its 360-degree range. Its closest rival, the American MIM-104 Patriot, can only search a preset direction and at an angle of 180 degrees. It also takes a crew about half an hour to deploy the Patriot launchers and put them in firing position. This is an awfully long time when missiles are hurtling towards you at speeds in excess of several thousand kilometers per hour. Also, the maximum range of the American system is 200 km, while the range of the S-500 already stands at 500 km and is expected to grow by the time it's integrated into the army.